The Sculpture Studio is the place to discover or commission contemporary sculpture in stone, metal, or wood created by sculptor Mark Carroll. Mark established his working studio in 1990. Since then he has created large outdoor sculptures for corporate office buildings and home landscapes as well as smaller sculptures for interior home decor. 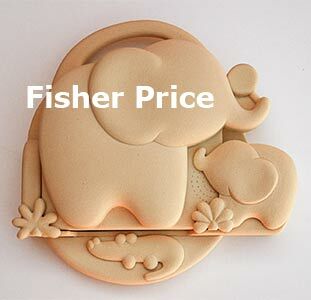 You can purchase an existing sculpture that you find on the web site, or Mark can work directly with you to create a unique work of art to fit your needs. 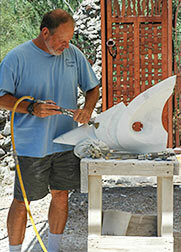 Collaborate with Mark to create a special sculpture to decorate your home, office, or garden. 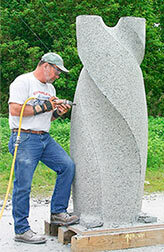 Sculptor Mark Carroll came from a family of artists. His father, Richard, was a wood and stone carver, his mother,Mary, a landscape oil painter. He grew up playing on Florida’s ocean shore and exploring the forests of Vermont. Attending high school in upstate New York, he excelled in art classes and on the soccer field. He had an innate drive to create art by exploring the shapes and forms of nature. After college, he taught high school art for 8 years before establishing The Sculpture Studio LLC in East Aurora, NY in 1985. Here he pursued a career as a free-lance industrial model maker, mostly for the toy industry. He also worked at creating his own sculpture in stone, steel, and wood for private collectors and public spaces. 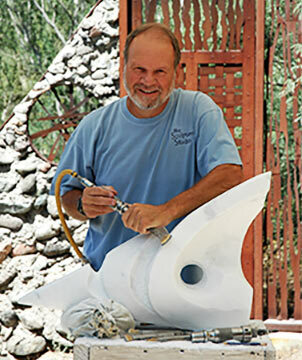 Mark moved his studio to Cave Creek, Arizona in 2009. Two end-to-end thru-hikes on the Appalachian Trail were a profound influence on his aesthetic approach to form. In 1977 and again in 1986, he walked the entire wilderness trail from Georgia to Maine. Living in the natural beauty of the forest and mountains for five months at a time left a deep impression. The long distance walks gave him insights into the way nature creates sculptural form in weathered stone landscapes and the organic growth of trees. Wanting to share what he learned, he taught high school art for eight years. Mark took up woodcarving, whittling duck decoys and caricature figures. Mark developed sculpting skills by carving realistically rendered birds, and expressive human characters in wood. His father had made a living sculpting life-size figures in wood and stone for churches; following his father’s death, Mark was asked to continue those commissions. For several years, Mark carves life-size figures for churches and hospitals. He established his own studio for both commercial sculpture and for his own art work. Continuing to master precision, he carved scientifically accurate reproductions for the Buffalo Science Museum. Working from fossil remains, he carved an Archaeopteryx, the first bird, with its wings extended in flight. Additional assignments for the museum include a baby mastodon for children to climb on, and a 32x enlargement of a Western Conifer Seed Bug for the entomology department, working from detailed drawings he made using a microscope to view the specimen. Mark worked as a professional model-maker for toy companies like Fisher Price, Toys-R-Us, and Kid Design. He would be given a drawing of the toy figure or animal that was to be sculpted. Mark would then sculpt it in wax or clay. This rendering was then used as the model master for final production. This precise and demanding work served to develop his technical skills. After taking a marble carving class at The Carving Studio and Sculpture Center in W. Rutland, Vermont, stone carving became a new fascination. From marble, he went on to learn how to carve granite. For thirteen years, Mark attended the Limestone Sculpture Symposium in Bloomington, IN. Participants are given a 1,200 pound block of limestone to carve during the week-long symposium. A desire to combine metal with stone prompted an interest in welding. Combinations of limestone and rusty steel, or granite and stainless steel, were soon added to his portfolio of work. 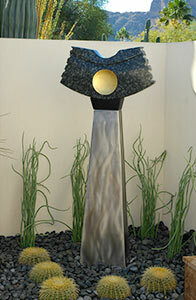 Mark Carroll’s range of sculpting experiences has provided the versatility, knowledge of techniques, craftsmanship, and professionalism to create a unique work of art. His inspiration comes from nature’s organic forms, including the human figure.The artistic statement is always affirmative. 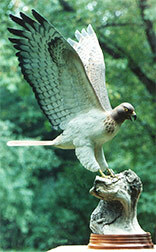 Visitors are welcome to see his work on display in person at The Sculpture Studio in Cave Creek, AZ. Click here for directions to the Sculpture Studio.